New research investigated the informational and opinion trends within the popular microblog service of Twitter concerning the radiation exposure associated with screening mammography for breast cancer detection. 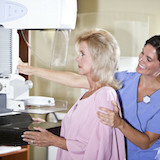 The findings show Twitter users were not largely unfavourable toward mammography due to its projected radiation risks. The study is an article in press in the Journal of the American College of Radiology. 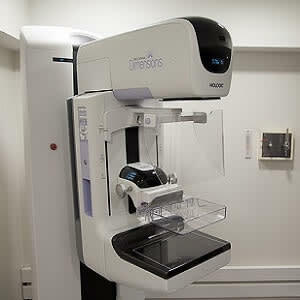 X-ray mammography screening programmes involve repeated exposure to ionising radiation, and therefore, they are associated with a risk for radiogenic breast cancer. It is well documented that the benefits of screening significantly outweigh the radiogenic breast cancer risk. Nevertheless, annual screenings of 100,000 women aged 40 to 74 years has been projected to induce, on average, 125 breast cancers resulting in 16 deaths. Recent research highlights the increasing role of Twitter in disseminating information concerning breast cancer screening and mammography. Researchers sought to understand the use of Twitter during breast cancer awareness month, and others investigated how users are sharing evidence and discussing current guidelines for breast cancer screening. However, little work has been done on evaluating tweets in the context of radiogenic breast cancer risk, according to authors of the current study. The current retrospective study included publicly accessible tweets in English with no geographic limitations. The top tweets for each month within the studied period were manually collected and processed. The reviewed tweets were classified according to user type, content, and context. The collected tweets were also classified in terms of their favourability regarding mammographic screening and its benefits as opposed to its theoretical radiation-induced risk. In this respect, each tweet was categorised as “favourable,” “unfavourable,” or “neutral.” In addition, the degree of Twitter usage by radiologists and other healthcare professionals was examined. The 427 tweets collected corresponded to 329 unique user accounts (approximately 1.3 tweets per user account). From the 329 accounts identified, 149 (45%) were owned by persons (50% female users, 43% male users, 7% unknown gender). Only 8% of user accounts were related to scientific organisations or higher education institutions and personnel. Regarding the favourability of registered tweets, 42% and 32% of posts were categorised as favourable and neutral, respectively. On the other hand, 26% of tweets were regarded as unfavourable in relation to the radiation burden associated with x-ray mammography. 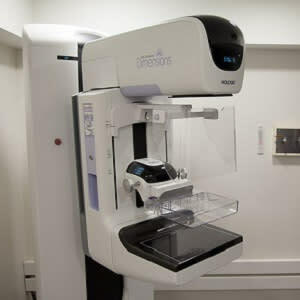 "The percentage of people having an unfavourable attitude towards radiation exposure in mammography is potentially quite higher, considering that a recent survey revealed that only 38% of participants were aware that mammography involves," the authors note. "Interestingly enough, six physicians commented unfavourably on the topic despite the published guidelines." According to the authors, current findings suggest that more efforts are needed to disseminate accurate information to the general public concerning the risk-to-benefit ratio of screening mammography. Twitter is a prominent communication tool to address large target groups, and the authors say radiologists, medical physicists, and their scientific societies should attempt to broadcast via Twitter the scientifically documented views on the radiogenic risks of mammography in a credible and comprehensible manner. "To reach this goal, radiologists may have to put in extra effort, because they generally have less patient interaction compared with other specialists," the authors point out. #RSNA18: Mammography screening women over 75? Yes!